A roman noir interpretation of the Twilight universe. Edward Cullen is a hardboiled detective with a tortured soul. When darkness threatens to consume his city, can he find the strength to overcome it? The sequel to A Light in the Darkness. Basking follows Carlisle and Bella as they begin their lives as husband and wife. What awaits them in their new life? A telling of the events immediately succeeding the change of Rosalie Hale. One shot. Canon. 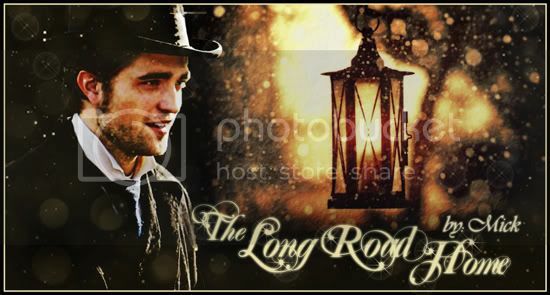 Can Edward finally leave his solitary, immortal life that began decades ago behind him? Who is the mysterious Isabella and what is her connection to Edward's human life? Leah needs to let go and Embry is willing to show her how. But is she willing to let go of her past? Rated for Lemons. Slight AU as it involved a non-Canon pairing. Enjoy! As we move through life, the force of fate creates events that we only appreciate when we reflect on our existence. 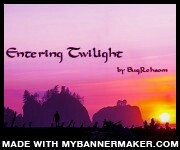 Thanks DazzledbyJake for the gorgeous banner!! Unlikely bonds form and tragedy forever changes the lives of Ness, Jacob, his once-lover Kimber, and all of the Cullens. This story contains dark themes, violence, and sexual content of both the naughty and nightmarish kind. Post-Breaking Dawn, turns AU at Renesmee's birth. Takes place During New Moon’s winter. Convinced that Edward was lying, Bella sets out across the country to find the Cullens and confront Edward to gain the closure she needs. Many thanks to Kaghanyou for the fantastic banner! Paris 1891: Bella is a popular stage vocalist and theatre owner. She's also a very powerful vampire. Edward is a piano teacher who attends one of her performances and captures her attention. Together they explore the Bohemian Revolution and each other. Edward never came back. But that's okay, because Bella Swan is doing fine. Her life has been vampire free for four years and, while it was rough at first, she's content with her new life. That is, until a certain vampire casually walks back into her life. Can Bella accept the lessons that life is trying to teach her? Or is her future doomed to be dictated by her past? I know you have secrets. Well, I do, too. The only difference is that my secrets have ruined my life. My secrets have forced me to live in a new prison called Forks, and I've been appointed warden. Yes, I am Warden Bella, and my secrets are my prisoners. I just hope they never escape again! After an embarrassing incident, Edward is forced to reveal his love for Bella to his friends. While Bella spends the summer before senior year with her mother, Edward, at the behest of Alice and Rosalie, goes through an extreme makeover. 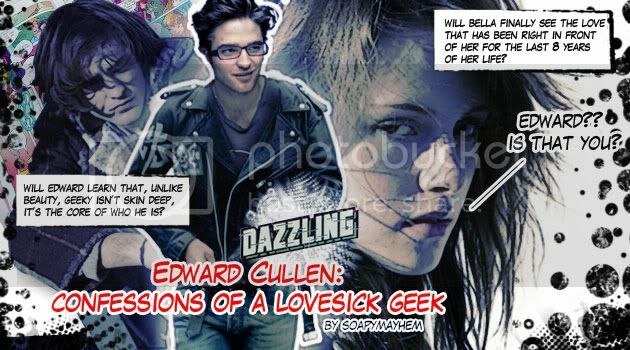 Will Edward learn that unlike beauty, geeky isn't skin deep, it's the core of who he is? 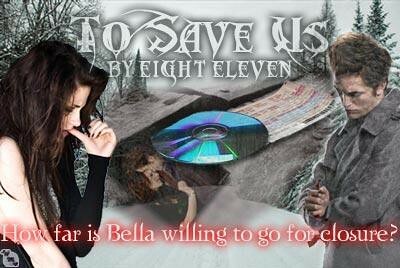 Will Bella finally see the love that has been in front of her for the last 8 years of her life. 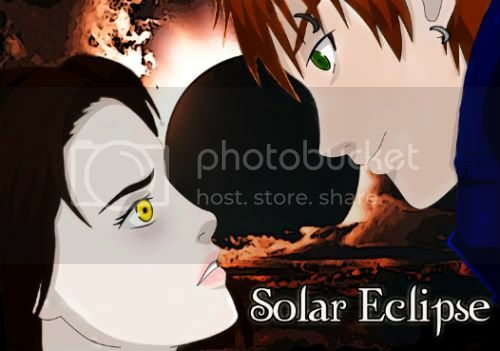 Thanks to Rason for the super-swell Blinkie, and to Evenstar for the Banner, Solar Eclipse Comic Cover by ME! Jasper Hale is a broken soul who has run away from what was normal to him to a new world filled with unknown expectations. He has no trust in himself or for any one other person and has fallen into a bloody cycle he's not sure he wants to end. Is one person all it takes to bring him back to where he wants to be without pushing him over the edge? Rosalie Hale, Forks High's Queen Bee dumps her best friend, Bella Swan. With the help of new student, Alice Brandon, Bella decides to get even. A fun tale of friends, frienemies, revenge and finding true love. Featuring all our favorite characters! Think 'The Starter Wife' meets 'The Wizard of Oz', only instead of ending up in Munchkinland, she awakens to discover she is now a character in her favorite story. Caroline Dawson is having trouble coming to terms with her divorce, her husband's pregnant new girlfriend, and the loss of her once perfect love... Christmas is right around the corner, and she decides to spend this first holiday sans-husband alone on the beach in Cancun. During a layover in Chicago, Caro reads Twilight for the first time and is quickly enraptured by it. But after a near death experience, Caro awakens to find herself trapped amidst the drama that is Forks. Is it a dream, a mental breakdown? What changes will her presence bring to Forks? How will she use her knowledge of the books to change the story? And should she even try? A year in review brings one night of longing, an email, and a phone call of promise. A city. A secret garden. An enigmatic host. Bella learns that sometimes… destiny grants us our wishes in the most peculiar ways.